So, I was all set to spend £28 buying two full sized pencils, one in Zero and one in Demolition or Bourbon. Then I saw a post by the beautiful Niina at Kingdom of Tides about this little set, which is only £16 for six mini pencils, instead of £26 – that’s fantastic value, considering how long the mini pencils last (they are 75% of the full size). So I popped over to lookfantastic.com and picked this up immediately as an early birthday present to myself. 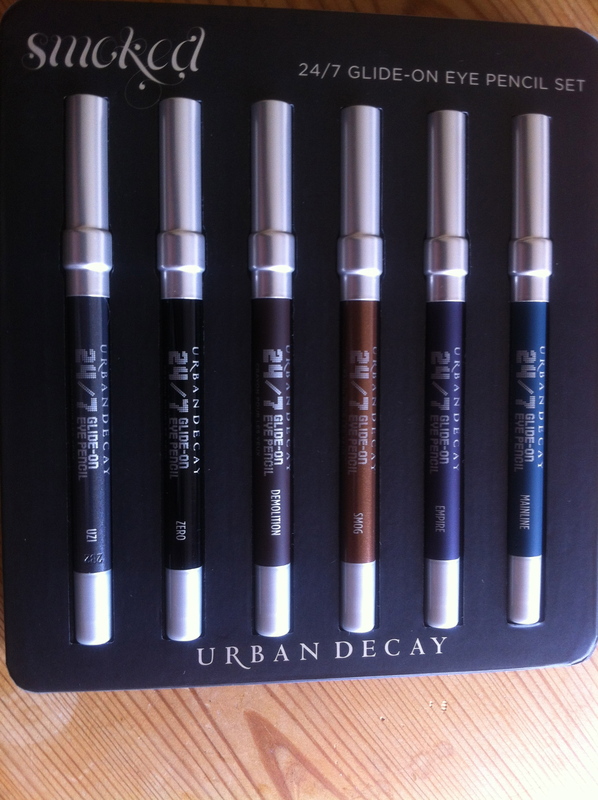 I’d really recommend you go and grab this set before it sells out, if you’re a fan of Urban Decay Eye Pencils. And really, everyone should be a fan! This set has a gorgeous range of colours, including two limited edition shades. Mainline and Empire are exclusive to this set. While Empire is quite similar to Ransom, a slightly brighter purple from the Urban Decay NYC palette, I’ve not seen anything like Mainline before, and since I adore teal, it’s something that really makes this set special for me. I’m also excited about Smog, which is my favourite eyeshadow colour from Urban Decay, and I can’t wait to use the two together. Apparently Uzi was discontinued, then brought back for this set due to demand, and I can see why – the shimmer makes it a really warm, deep, wearable grey, where it could have been very cold. 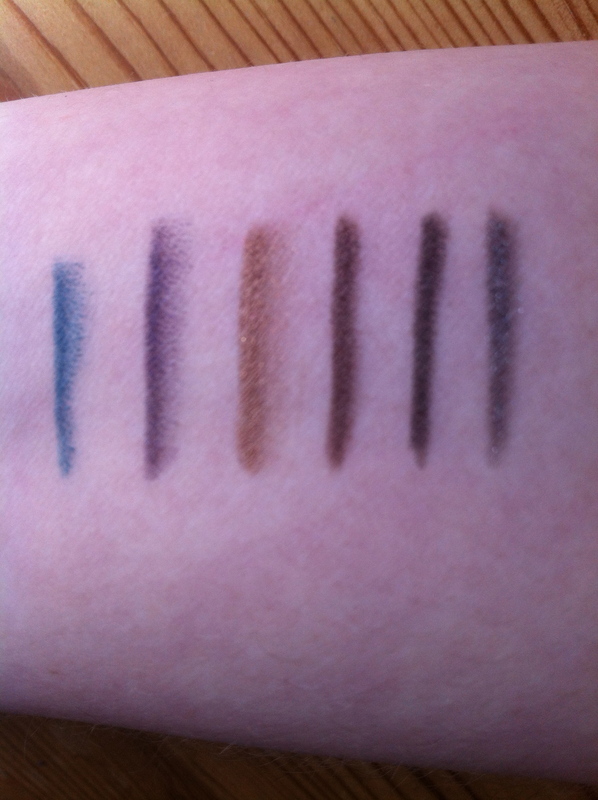 The jewel colours work beautifully with the Smoked Eyeshadow palette from the same collection (as you would imagine!). 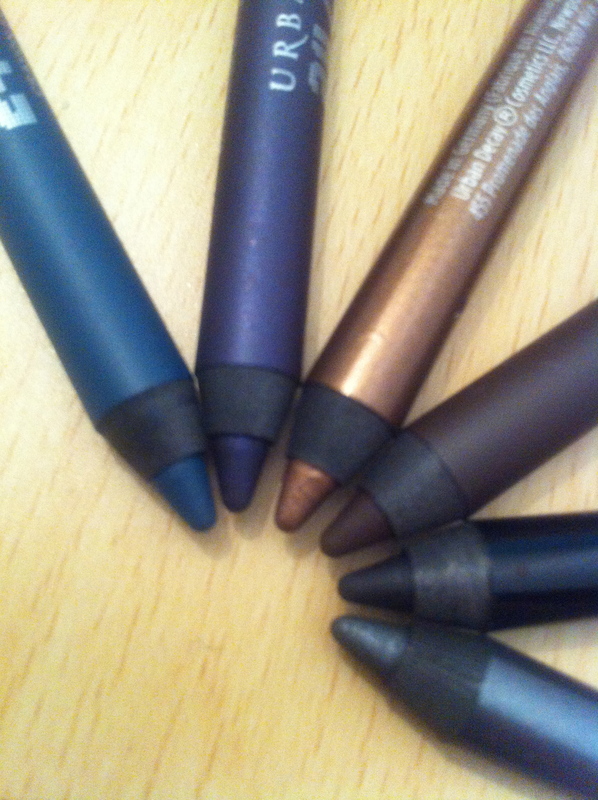 What I like best about these eye pencils is that they almost have a dual personality. On application, they smudge beautifully for a gorgeous smoky look, but once you have finished your make up, they don’t budge until you’re ready to take them off, meaning no panda eyes or accidental smudge-wings. If you favour a very neat, tight line, they do that too with the same tenacity. I don’t know how they do it, but it is incredible. The packaging itself is very slick and modern, very simple compared to UD’s normal loud packaging, but I’m not sure yet whether I will keep the pencils in their pretty little house on my dressing table, or add them to my make up bag for on the go. I am utterly thrilled with this set, so thank you Niina for pointing it out to me! Will anyone else be picking up this set? I can’t recommend it enough, and the delivery from Lookfantastic was super quick (ordered on Friday, came on Wednesday, bank holiday weekend in between!) and free! This entry was posted in Beauty and tagged beauty, beauty review, eye pencil, eyeliner, eyeliner pencils, make up, smoky eye, urban decay, urban decay 24/7 glide on eye pencil. Bookmark the permalink. Aaah they look so pretty in the packaging! 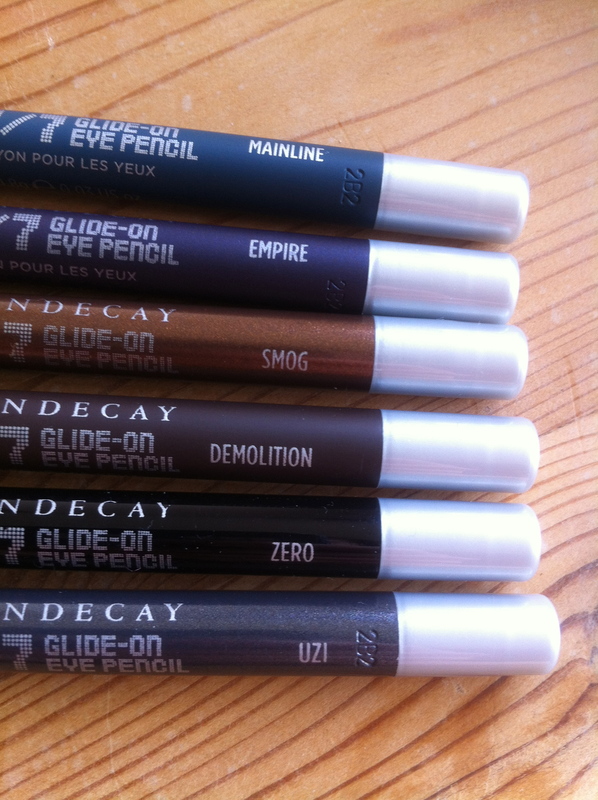 I love these pencils, Smog is my favourite – great price too. Thanks for sharing!